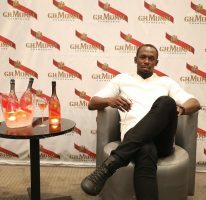 The world’s greatest athlete, Usain Bolt, will compete and captain the ‘Bolt All-Stars’ in a new sports entertainment series set to revolutionise global track and field. A high energy, team-based competition, Nitro Athletics will see the stars of Australian and international athletics compete across three nights of blockbuster entertainment at Melbourne’s Lakeside Stadium in February 2017. Nitro Athletics Melbourne will feature six teams of 24 athletes (12 women and 12 men). Teams will come from Australia and internationally and will be announced in the coming weeks. Nitro Athletics will be like no athletics competition seen before and will not just feature traditional events – this will be a different spin on traditional athletics and will include a mix of power, endurance, technique and teamwork disciplines across sprints, distance, field and para-athletics events. Mixed events and relays will also feature in the Nitro program as team’s battle for points and the Nitro Athletics Melbourne crown. Nitro Athletics Melbourne is supported by the Victorian Government, will be broadcast live on the Seven Network and will be staged on Saturday 4th and Thursday 9th, with a final on Saturday 11th February. Night one and the final of Nitro Athletics Melbourne will feature the same program with the Thursday night program offering a selection of alternative events. 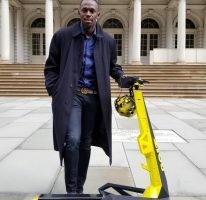 Nine-time Olympic gold medallist and 100m and 200m world record holder Usain Bolt said Nitro Athletics was the concept desperately needed to take athletics into the future. “This will be track and field as it’s never been seen before and that’s why I’m involved, not only as a competitor, but also as a team captain,” Bolt said. Bolt, who has never raced in Australia, is looking forward to building his team and returning in February for the three-meet Nitro Athletics Melbourne series. 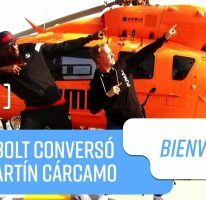 “Nitro Athletics is what track and field needs – a fresh way to present the sport and I can’t wait to be back in Melbourne to share Nitro Athletics with the fans in February,” Bolt said. Athletics Australia President, Mark Arbib, a driving force behind bringing Nitro Athletics to reality, said the new version of athletics will aim to excite existing fans, whilst taking the sport to new audiences. “Nitro Athletics is the sports entertainment product track and field needs to move athletics beyond the existing format of one day athletics meets,” Arbib said. “The fact that Usain and his team are so enthusiastic about the concept shows how important bringing athletics to new audiences is to Usain. We are thrilled that he is with us,” Arbib added. “Every show needs a headline act and the headline act of Nitro Athletics Melbourne is the biggest name in all of sport – Usain Bolt,” Steffensen said. Victoria’s Minister for Tourism and Major Events Philip Dalidakis said the revolutionary event is a major coup for the sporting capital of the world. “Visit Victoria, our new tourism and major events organisation, has just secured arguably the greatest track athlete of all time, exclusively here in Melbourne,” Mr Dalidakis said. Further details on the Nitro Athletics Melbourne program, team and athlete announcements will come in the lead up to the event.